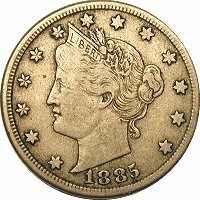 In 2009, the Barber Coin Collectors' Society conducted a Census of its members, as well as the collecting public, for Liberty Nickels. 84 people responded, including 64 BCCS members and 20 guests via the Internet. The following table lists the results of this Census.